While certain members of the mainstream media are fixated on President Donald Trump’s tweets, one story written by MSM may have flown under the radar. The Free Thought Project has consistently reported the safety of marijuana, its uses, and its benefits. However, the federal government, state governments, and local governments, all continue to lock away otherwise law abiding citizens for using, and sharing marijuana. Now, one member of the mainstream media is starting to sound a lot like The Free Thought Project. Vox, in its article “The 3 Deadliest Drugs in America Are Legal”, written by German Lopez, tells the truth about legal substances which are killing people left and right. It is important to note that the Free Thought Project does not advocate for the prohibition of any substance as it always leads to more death, more crime, and more abuse. However, for a substance to be linked to 20 percent of the annual deaths, and still remain legal, perplexes us here at TFTP given the state’s claim of ostensibly protecting society. But we understand that the deal the tobacco companies made with the federal government (1997), in what some have called an extortion deal, promised to give the federal government a steady stream of income for generations, so long as the substance remains legal. For example, in 2010, the federal government took in 15.5 billion dollars in tax revenue. So, ending tobacco tax revenue streams would effectively cost the federal government more money than it’s willing to relinquish. If the aforementioned mortality statistics and the deal made with Uncle Sam aren’t enough proof of corruption, collusion, and coercion, we simply do not know what is. Moving on to alcohol, the statistics aren’t much better. “Alcohol-induced health problems, such as liver disease, led to more than 33,000 deaths in 2015. But that actually undercounts the number of deaths caused by alcohol: When including other causes of death like drunk driving and homicides, the toll rises to 88,000 per year,” the Vox article concludes. And the relationship between alcohol and government is one based on monetary value to the tune of 5.6 billion per year. Despite all the PR ads advising consumers to “know how to drink responsibly” and “know when to say when”, for all intents and purposes, the federal government needs everyone to drink up! That way, the revenue stream will keep flowing, despite the nearly 100,000 individuals who lose their lives from drinking the toxins and who die in traffic fatalities. As TFTP reported at the end of last year, opioid-related deaths are skyrocketing. All the while, the federal government looks the other way while billions of opiate prescriptions are being filled every year. Last year, the government even approved the use of oxycontin for children. Unlike alcohol and tobacco, the federal government has not yet been able to capitalize on taxing opiates, but that’s all changing. In June of 2016, under the guise of using the tax funds to “treat” opioid addiction, several U.S. senators introduced a bill that would levy a federal tax on all opioids. Do you see a pattern yet? The Budgeting for Opioid Addiction Treatment Act would apply a one cent per milligram tax on opiates if passed. 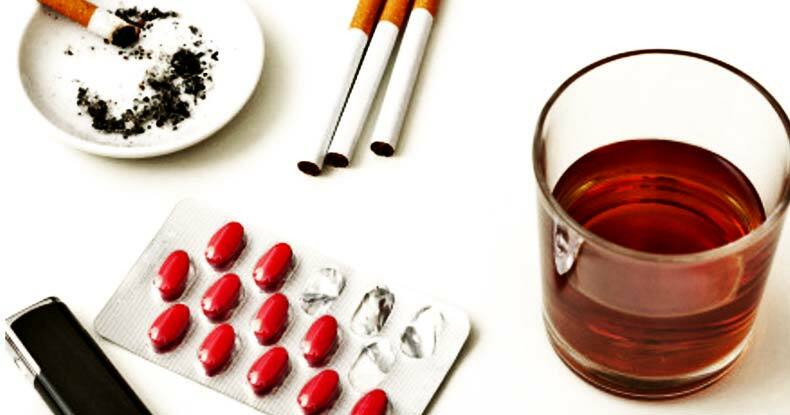 Compared to marijuana, which kills practically no one according to the report, the dangers of tobacco, alcohol, and opiates are very real and growing in size and scope. The major difference between cannabis and other big three killers is that the federal government purposefully maintains marijuana as an illegal narcotic which must be eradicated. Fortunately, states are beginning to redefine the long-standing definition the federal government attempts to impose on the citizens of the United States. Medical marijuana is now a very real option for not only those who suffer from chronic pain, but those who have intractable illnesses, and emotional conditions better treated with cannabis than with prescription drugs. The only real threat the American people have, with respect to marijuana, is that the federal government, under the new Trump administration, will attempt to ban it completely in favor of continuing to addict Americans to the three deadliest substances on the planet: tobacco, alcohol, and opiates. The truth is, the feds are probably just trying to figure out how they’ll get their cut.